The island of Madeira is known for its natural beauty, mild climate and hospitable friendly people. 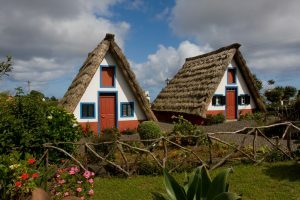 Our two full day tours with lunch cover all important points of interest of the island, visiting towns of Camara dos Lobos, Porto Moniz, Santana, Camacha, Machico, as well as others points of interest of the Madeira Island. 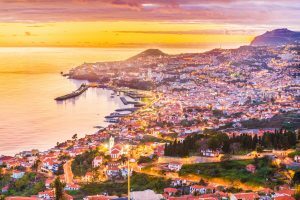 This New Years Tour offers you the opportunity to explore the city of Funchal or spend a day of leisure by the pool side. Each evening you will have the opportunity to experience local and international cuisine as well as New Year’s Dinner at your hotel or at nearby restaurants. 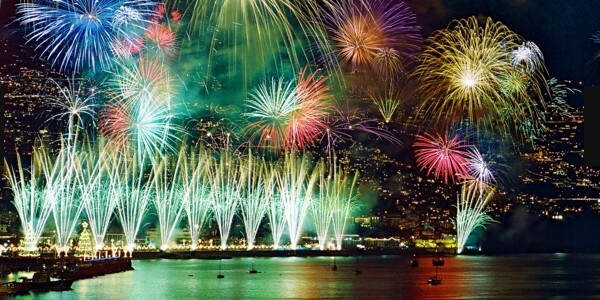 After dinner, you along with other travelers scout for the best view point to see the magnificent firework display that is projected from the hills, barges and all around the city of Funchal. 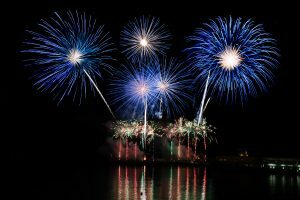 Ring in 2020 in the warm, friendly Island of Madeira. Evening departure aboard SATA INTERNATIONAL for our transatlantic overnight flight to Funchal. Dinner will be served onboard accompanied by a selection of Portuguese wines to complement your meal.